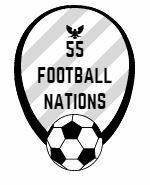 55 Football Nations has met some interesting, fanatical and helpful people on its journey through nine nations. But few as great as Eric from Taraz in Kazakhstan. Kazakhstan is the world’s ninth largest country and its Premier League is a spread out beast. Almaty and Astana, the biggest city and capital, house two of the best teams, yet neither were at home during my stay. I took the train to Taraz, eight hours west of Almaty, to watch the local team play Aktobe. Public transport is cheap in Kazakhstan. I could afford second class, a four-berth cabin, and happened to meet Eric, a Kazakh and sporadic Man Utd fan. I asked him why he was a red. “Why not?” he responded. I couldn’t argue. Eric spoke good English, always qualifying his words with “or something” at the end of each sentence. I could instantly tell Eric was going to be more than an anecdote. He was 30 something and worked hard in the oil and gas industry in western Kazakhstan, a fortnight straight, and was returning home to Taraz. He looked shattered. Eric had been away from his wife, an ethnic Russian, and their son, for nearly three weeks. They were thrilled to see him arrive at Taraz railway station. His first concern was getting a haircut and he invited me along. I was looking a bit shaggy. The nervous barber did a reasonable job, well worth the £1.20 I wasn’t ever going to be allowed to pay. His second priority was more predictable; eating lots of meat. I was his guest at a steamy shashlik emporium. An enormous platter of horse, pork, lamb and kidney – each the size of a pear – arrived. This was just my plate! I felt instantly defeated, but did my British best. The next day Eric had one mission – to help me. We visited the local newspaper, the sports editor was away and it didn’t seem to be anyone else’s job. We wandered into the 20,000 capacity Taraz stadium, good for photos, less so for contacts. Eric found out that the club administration were all watching a youth game between Taraz and Kairat at a nearby training ground. We scooted across. Eric explained and after a barrage of “Salaam Alaikums” and strong handshakes we had a club onside. We visited a local market that isn’t going to make the Lonely Planet anytime soon, another excellent restaurant I managed to pay for and the car wash. Eric’s third worry was cleaning his car, southern Kazakhstan is a dusty place in the height of summer. We later met Murat, the club translator, at the FC Taraz hotel, a slightly gaudy affair overlooking the training ground. Taraz is small town and Eric knew Murat from his gym. This seemed to help. I secured an interview with Mohammed Diarra, the Guinea and Taraz defensive midfielder, and a press pass for the match. Eric was busy on Saturday – “boring family stuff or something” – but met me before the game. He was coming along for his first match in 15 years with some friends, supporting me from the stands. He bought the tickets, 70p for adults and 12p for children, and left me to take photographs around the pitch, one of just four people with media accreditation. And one of the other three was the vice-president’s son. Taraz took the lead at the end of the first half. Aktobe dominated possession throughout and probably should have had more than a Taraz own goal to show from the second half. 1-1 on the Silk Road. We took in a few post-match beers, skewers of lamb and kurt, a hard cheese made from dehydrated sour cream, at another eatery. “Everyone thinks I’m your translator or something” he explained. Eric was just being hospitable, helping someone who would have otherwise blundered his way around with little Russian, no Kazakh and Google Translate. I shook his hand as I left in the car he had arranged to take me to Shymkent. I will never know what my Taraz experience will have been without Eric, but surely not as good. Thanks Eric! Good article and described in funny way!